Some loved ones require more attention and care because they are particularly vulnerable. Whether it’s because of a physical or mental disability, you knew from the day they came into your life that you needed to provide for them while you are alive — and well after you leave them. It is possible we love them more because of their special needs. And in this devotion there lies buried a secret fear: what would happen if you weren’t there? 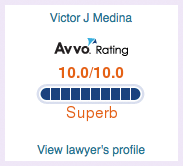 With two school psychologists in Victor Medina’s family (one of them his wife), plus experience with public school special education law, at the Medina Law Group, we have a personal relationship with special needs planning. We know and understand your concerns. You’re facing medical, financial, social, and legal issues. We can help you find the assistance you need now, show you how to ensure your special needs child will be well-cared for after you are gone, and stay with you every step of the journey. If you are raising a child with special needs, contact us today to discuss your particular situation. We can help ensure that your child receives the best possible care for the rest of his or her life. And help you experience greater peace of mind in the process. Together we can look at your child’s needs, your family’s financial situation, what benefits are available, and what legal strategies will help today — and tomorrow. We will use our experience, knowledge of the law, and close relationships with numerous private and public agencies to secure for your child the maximum in benefits and health care. We will also review your plan periodically to take into account any changes in your financial, family or medical situation. Your child is special. That means, as you are all too aware, that you, as a parent, need to be special, and that the planning and protection of your child needs to be special.